Differences between Plant and Animal Cells: Plants and Animals consist the major kingdoms of Domain Eukarya. 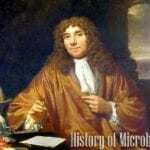 On the one hand, Kingdom Plantae is composed of multi-cellular (although some are unicellular) autotrophic organisms. At present, it is estimated that the total number of plants is 400,000 while of course, a lot remains undiscovered. On the other hand, the members of the Kingdom Animalia make up more than three-fourths of all species found on our planet. They typically range from the simplest like the sponges and corals up to the most developed one like humans. 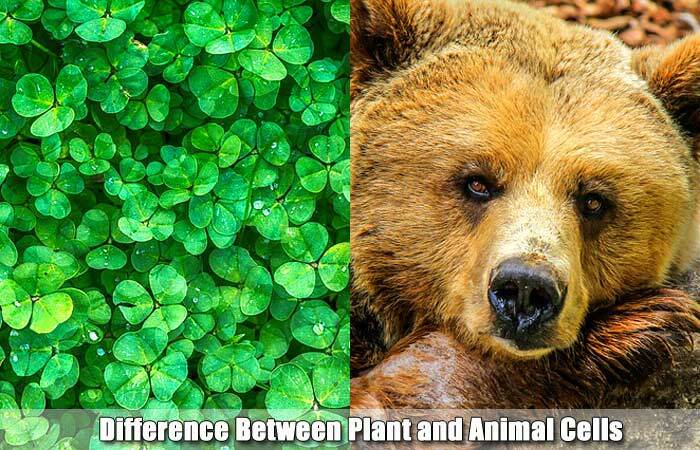 Regarding physical appearance, plants undeniably are distinctly different from animals. But what about inside them? Do they differ too? 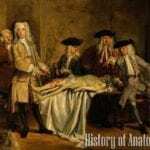 Well, in this post, we will explore the answer to that question! 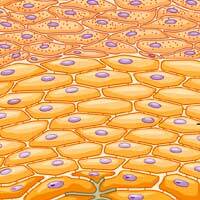 We will discuss plant cell vs animal cell, everything at the cellular organization level. Check out the difference between prokaryotic and eukaryotic cells as well. Like any other eukaryotic cells, plant cells that have their genetic material enclosed in the nucleus and have membrane-bound organelles. 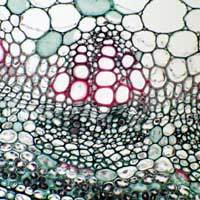 One of the most distinctive features of plants cells is the presence of cell wall apart from the cell membrane itself. 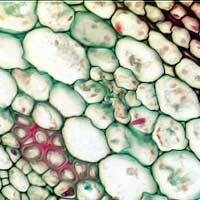 This cell wall, primarily composed of cellulose, is what provides the whole plant structure support and rigidity. The primary function of plant cells is to carry out photosynthesis because of the presence of chlorophyll in their chloroplasts. 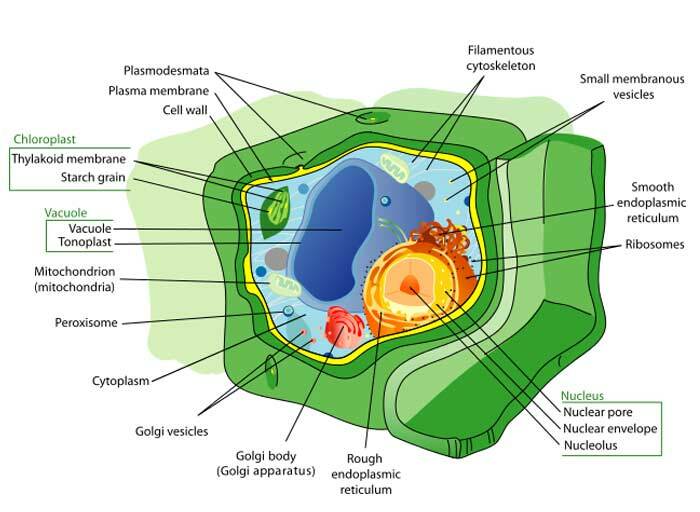 It was once believed that plant cells originated from the endosymbiosis between a single-celled photosynthetic organism and a larger proto-eukaryote. 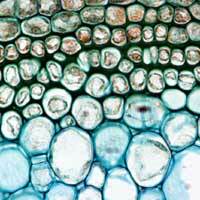 Among all types of plant cells, parenchyma cells are the simplest in terms of structure – they only have thin walls. 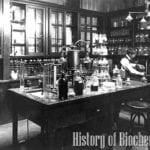 These cells are not highly specialized a primarily used for the storage of organic products. 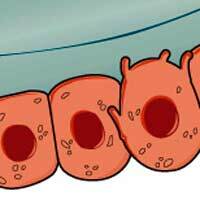 Collenchyma cells have relatively thin walls but with some degrees of thickening at some parts of the cell. 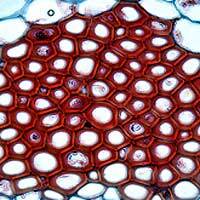 This type of structure allows the plant cell to utilize their function as structural support. Unlike parenchyma and collenchyma cells, sclerenchyma cells have highly lignified (embedded with lignin) cell walls which are thickened dead cells at maturity. Xylem is a plant vascular tissue which helps in transmitting water from roots to all parts of the plant. 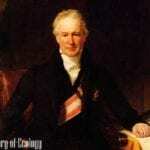 The cells in this tissue have a hardening agent, unlike collenchyma cells. 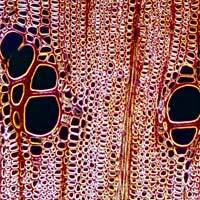 There are two types of cells within Xylem namely tracheids and vessel members. Seedless vascular plants contain tracheids whereas flowering plants (Angiosperms) contain both tracheids and vessel members. Phloem is another plant tissue which is responsible for conducting foods produced (via Photosynthesis) in the leaves to all parts of the plant. Within this tissue, three types of cells found namely companion cells, phloem fibers, and parenchyma cells. Animal cells are also a type of eukaryotic cells that contain a “true nucleus” and membrane-bound organelles enclosed together by a plasma membrane. Animal cells do not have a cell wall, which typically distinguishes them from other eukaryotic organisms like plants and fungi. 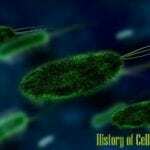 Scientists believed that the characteristic of having cell wall by animals is a feature that was lost in the past by a single-celled organism that eventually gave rise to the Kingdom Animalia. 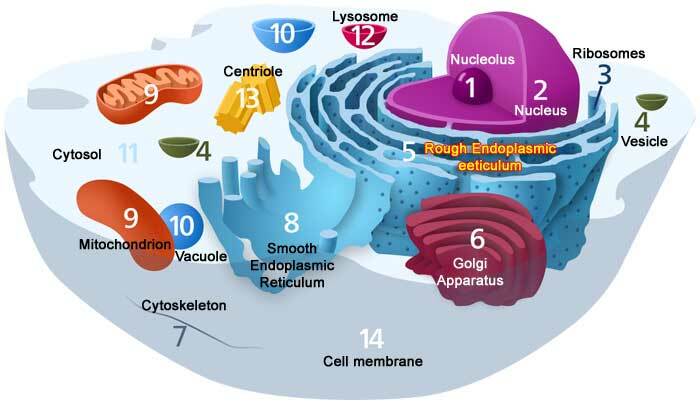 Despite the lack of a rigid cell wall, animal cells have developed a wide array of cell types, tissues, and organs. 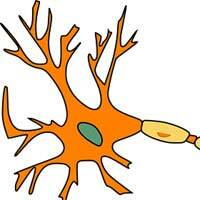 Animal cells typically evolved to form nerves and muscles which allowed them for locomotion and mobility. 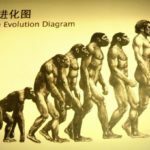 While being mobile has greatly allowed animals to do a lot of things, animal cells per se are unable to synthesize their own food, hence are always dependent on plants. There are different types of animals per se, depending on the type of environment they live in and the kind of lifestyle they have. Listed below are some of the most common types of animal cells. 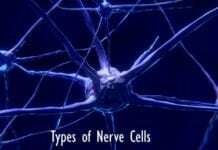 Nerve cells are specialized cells that electro-chemically send impulses or information to and from the sensory receptors and the central nervous system. 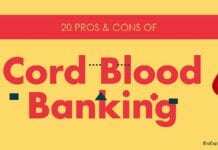 Also called as the hematopoietic cell, the blood cell is responsible for carrying oxygen to the different tissues while at the same time collecting carbon dioxide from them. 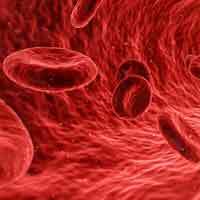 Aside from that, blood cells also bring with them hormones and other nutrients and send them to the different parts of the body. 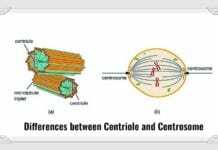 Muscle cells, also called myocytes, are long and tubular cells (sometimes spindle-shaped) that function for the production of force and movement. 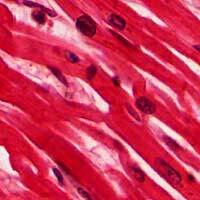 In animals, muscle cells contain the most number of mitochondria. Located in the epidermal and dermal layer, skin cells function mainly for protection, perception, and transmission of sensation. In addition to that, skin cells also prevent water loss through dehydration. Bone cells make up the bones and overall skeleton of animals. 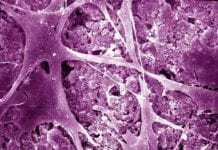 While there are different types of bone cells, their primary function is to provide structural support and aid in movement. Tight Junctions & DesmosomesWhat are Tight Junctions & Desmosomes?Desmosomes are localized patches that hold two cells tightly together by proteins like a gap junction with no opening between them. 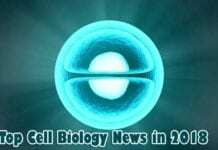 Tight junctions get created when two membranes bond into one which makes a very strong barrier between two cells. PhotosynthesisWhat is Photosynthesis?Photosynthesis is a process used by plants to convert light energy into chemical energy (Starch). Produce own food through photosynthesis. 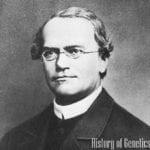 Cannot photosynthesize. Check out the Cellular Respiration here. 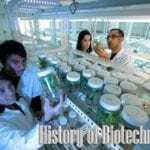 Cite this article as: "Differences Between Plant and Animal Cells – A Complete Overview," in Bio Explorer by Jack Kirsten, December 30, 2016, https://www.bioexplorer.net/difference-between-plant-and-animal-cells.html/. – “Plant Cell.” Plant Cell | Structure, Parts of Plant Cell | [email protected] Accessed December 29, 2016. Link. – Petruzzello, Melissa. 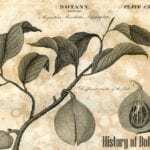 “Xylem.” Encyclopædia Britannica. 2016. Accessed December 29, 2016. Link. – “Molecular Expressions Cell Biology: Animal Cell Structure.” Molecular Expressions Cell Biology: Animal Cell Structure. Accessed December 29, 2016. Link. Thanks for this website very helpful ? This website was really helpful!!! Thanks!!!! !